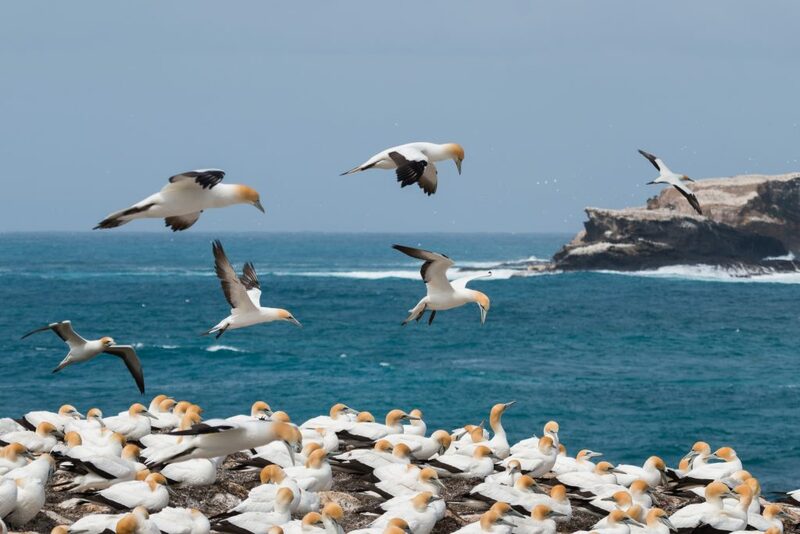 More than 6000 pairs of gannets nest on Lawrence Rocks, 2 km south of the mainland. 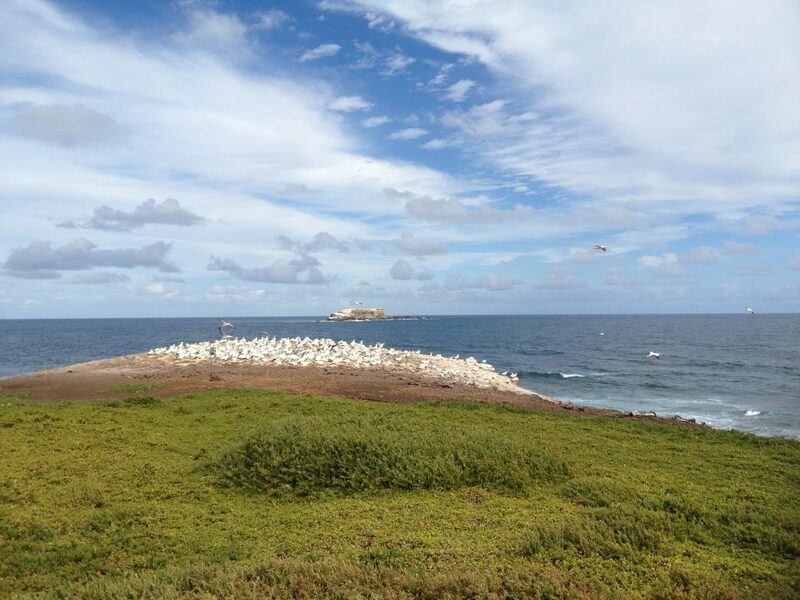 The mainland colony of 300 pairs is an ideal place to observe birds in all stages of life, from chicks and grey coloured immature gannets, to the mature adult birds with their marvelous wing span and impressive size. Gannets feed on small sea fish like pilchards, and their feed seeking methods are quite a show to watch. It is a wonderful phenomenon to witness hundreds of gannets diving into the sea in succession, targeting a school of fish.Gannets can dive from a height of 30 metres, achieving speeds of 100 km/h as they strike the water, enabling them to catch fish at depths of up to 20 metres much deeper than most airborne birds.